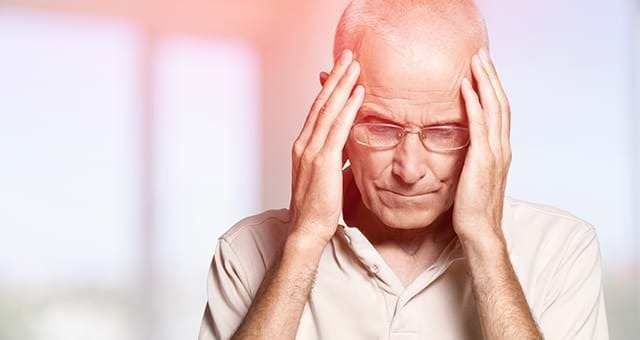 Cerebral stroke or brain stroke is a serious condition that occurs when blood supply is interrupted or stopped in all or some parts of the brain either because of a ruptured blood vessel or a blood clot. Due to reduced blood flow, there is a lack of oxygen or nutrient supply to the brain leading to the death of brain cells. Stroke is a medical emergency that needs to be diagnosed and treated immediately to lower the damage. Brain strokes can be ischemic or hemorrhagic with ischemic stroke accounting for 87% of all strokes and hemorrhagic stroke accounting for 13%. For proper treatment of brain stroke, accurate diagnosis, identification of the affected areas of the brain, and duration of the stroke need to be detected by the consulting physician. The recovery depends on prompt diagnosis, hospitalization, and quick treatment procedure. Conventional treatment for brain stroke involves medication (anticoagulant, antiplatelet drugs, and drugs to reduce intracranial pressure), removal of clot by surgery, and stopping of bleeding. Timely treatment is crucial for recovery in stroke patients and if the patients are unable to receive prompt treatment the recovery is delayed and poor. Survivors have to undergo rehabilitation for a prolonged period and in extreme cases permanent brain damage occurs. However, currently scientists have reported in their researches that stem cell administration in patients even three years after stroke improved the recovery rate. For this procedure, adult stem cells obtained from bone marrow of the patients are mostly preferred. The procedure involves transplantation of adult stem cells into the tissues adjacent to the damaged portion of the brain through brain surgery. The transplanted stem cells have profound influence on the immune system of the individual. They trigger secretion of powerful growth factors and protein molecules, which improve the recovery mechanisms including new blood vessels and new synapses of neurons. Hence, the adult brain behaves like an infant or neonatal brain and able to recover quickly following a stroke. For effective re-growth of nerve tissues large number of active stem cells is required. The aim of the clinical trials on stem cell therapy for stroke patients is to reverse the damage of the brain by regenerating those nerve fibres impaired during stroke. In a small clinical trial led by Stanford University School of Medicine investigators involving 18 chronic brain stroke patients ( between 6 months and 3 years after stroke), significant motor improvement was observed following stem cell therapy. One patient reported that she was able to move her limbs (right arm and legs), which remained completely immobile for several years after stroke. The researchers found that the stem cell therapy is a safe procedure without any adverse side-effects and is able to stimulate cells surrounding the damaged tissue and trigger prompt heeling and improved brain functions. This in turn improves the quality of life of the patients. Moreover, as the patient’s own stem cells are used, the chance of rejection is minimised. Due to the phenomenal success of the stem cell therapy clinical trial, it is considered to be a promising treatment approach for brain stroke patients and thus set the stage for expanded trial of the procedure. Hello, we found this article on your website regarding, BRAIN STROKE PATIENTS ARE ABLE TO RECOVER AGAIN AFTER STEM CELLS THERAPY. my father at the same problem and suffering with paralysed on right side of the body, we are looking for the best possible ways to treat and cure. please give us a call provide, what treatment you can offer and timeline.